Equine advocates beware, “Slaughterhouse” Sue Wallis and her ever present sidekick and main squeeze, Dave Douquette, are trolling the internet looking for information to twist, distort and turn upside down in an effort to legitimize their unfounded and bogus position that anyone who does not want to eat a horse is some form of a terrorist. 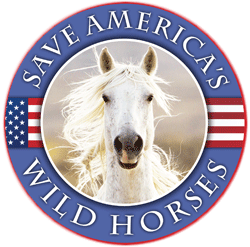 “It’s been several months since we have heard anything out of the Wyoming Representative whose entire life has been centered around killing and eating horses, Sue Wallis. An embarrassment to her state, she continues to flail away at the premise that killing horses for human consumption is a good and wonderful thing. Between setting up a bogus non-profit organization that violates federal and state laws to accusing dozens and dozens of well known American celebrities of taking bribes on the issue,the out of control elected official continues to generate lies and propeganda on the issue of excess horses which her partner in crime, Dave Douquette produces.